Volvo has unveiled its second all-electric truck the FE Electric, which is designed for heavier city distribution and refuse transport operations with gross weights of up to 27 tonnes. The Volvo FE Electric will be offered in several variants for different types of work, including with a low-entry cab. It will have a range of up to 300km. The FE Electric will have an electric motor with 185 kW max power (130 kW cont. power) with a Volvo 2-speed transmission. 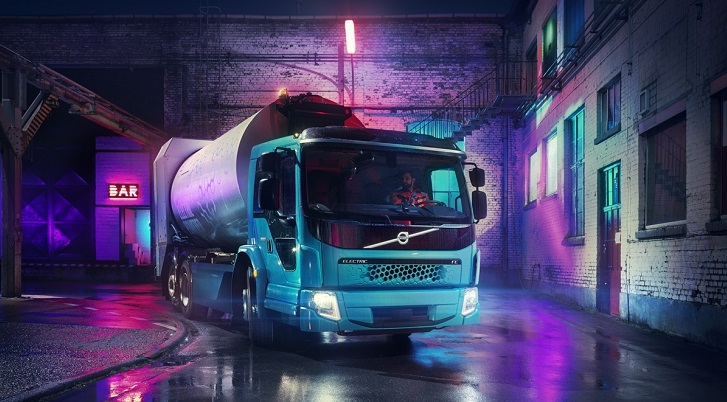 This announcement comes three weeks after Volvo launched its first all-electric truck, the FL. The first Volvo FE Electric, a refuse truck with a superstructure developed with bodybuilder, Faun, will start operating in Hamburg. The range is expected to go on sale in Europe in 2019.